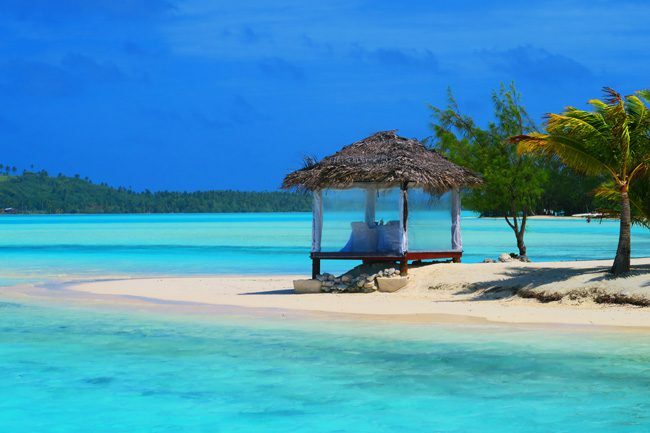 You can’t say you’ve been to the Cook islands if you haven’t made it to Aitutaki. 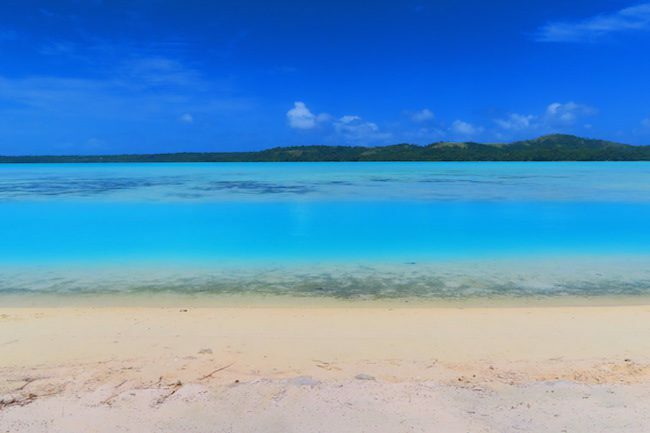 This tiny island is home to one of the most magical lagoons in the vast South Pacific. Spend your days kicking back into island time on a pristine beach, and your nights counting the stars. Once you head out to the far reaches of the lagoon, you simply won’t want to come back. 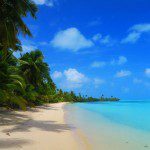 I spent a week in Aitutaki while backpacking across the South Pacific Islands. 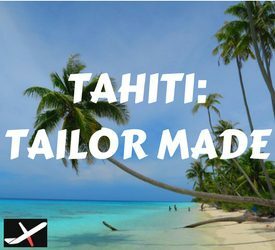 Here’s a sample 3 days in Aitutaki itinerary, with a mix of activities and whole lot of doing nothing. I absolutely loved my stay at Rino’s Motel, on the west coast of the island about a 15-minute walk from town. I wouldn’t really call this place a motel, as all self-contained units pretty much face a well-kept beach. 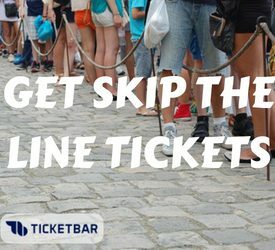 Rino’s offers a free breakfast, filtered water and also rents out cars/scooters/bicycles at the best rates on the island. Here’s a full review of Rino’s Motel. 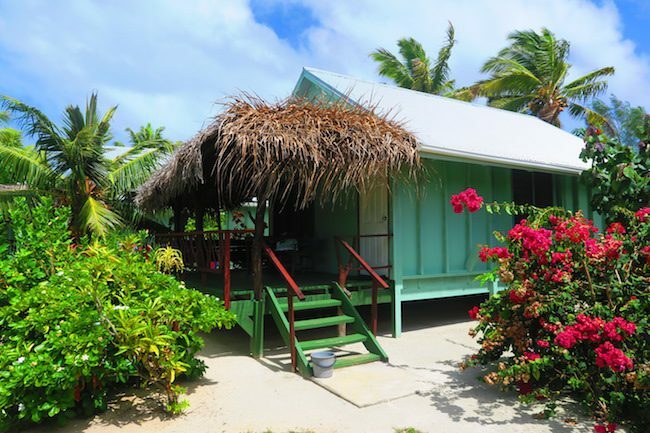 I also stayed a few nights at Inano Beach Bungalows, about a 10-minute walk from O’otu Beach. All units are self-contained, with most facing a lush tropical garden. There isn’t much to do around here and you’ll hardly see anyone except the maintenance staff, but that means plenty of peace and quiet during the low key evenings. Bring plenty of mosquito repellent as the mosquitoes on this side of the island are ferocious. 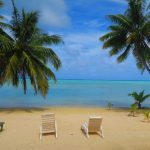 Quick note: if you want to do some scuba diving, add an extra day to this 3 days in Aitutaki itinerary. 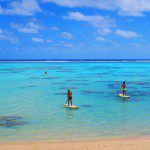 Have a look at the Cook Islands Travel Guide for information on diving in Aitutaki. 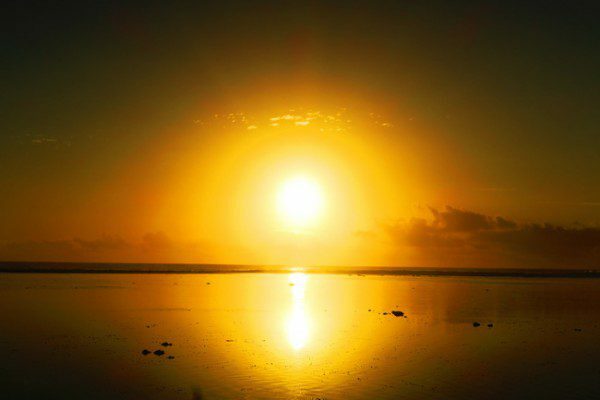 Start your first morning in Aitutaki at the Koru Cafe, the best place on the island for breakfast. When you’re ready to officially start your day, head to Popoara Rentals nearby to rent your scooter (or car) if you haven’t already done so from Rino’s Rentals, closer to town. 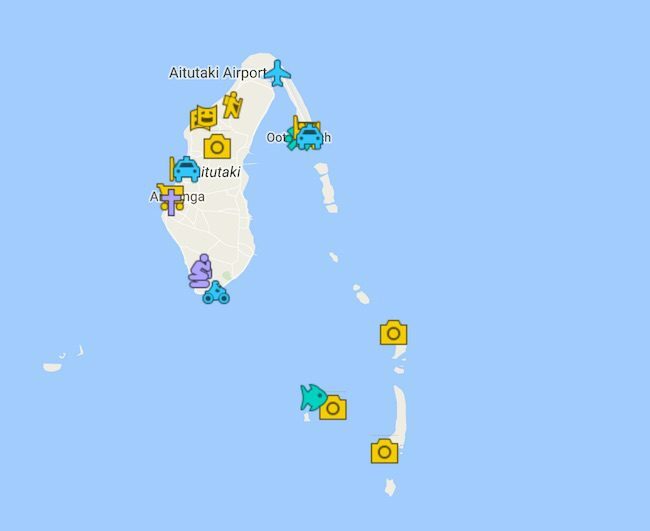 You’ll spend the next few hours road tripping around the tiny main island. 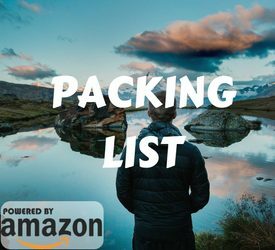 The first stop is right across from the Paradise Cove Resort, where you’ll find the dirt track that snakes its way to the top of Mount Maungapu. 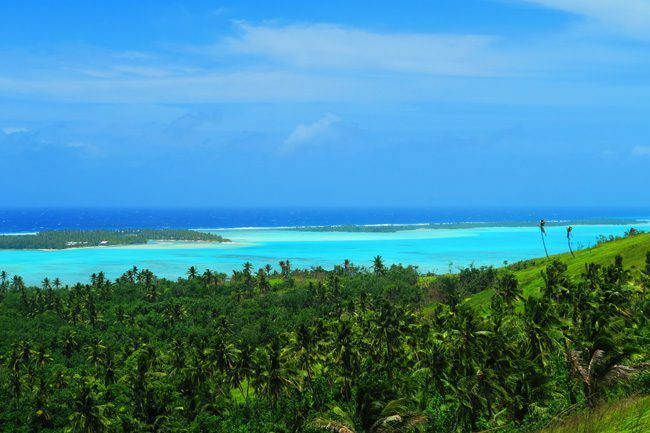 A 20-minute hike will bring you to the highest point in Aitutaki at 124 meters. This might not be the Everest, but the panoramic views from up here are spectacular. Back down and back on the bike, you can take a left turn at the signpost and head up to the Piraki Lookout. 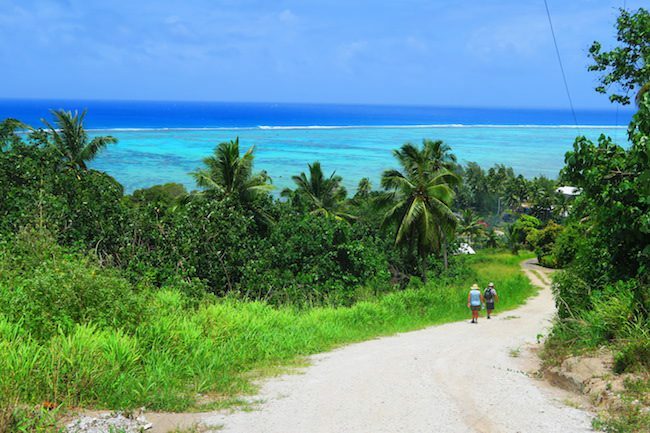 The views are not as impressive as those from the top of Mount Maungapu, but you’ll get to ride on the dirt roads that crisscross the island from west to east. 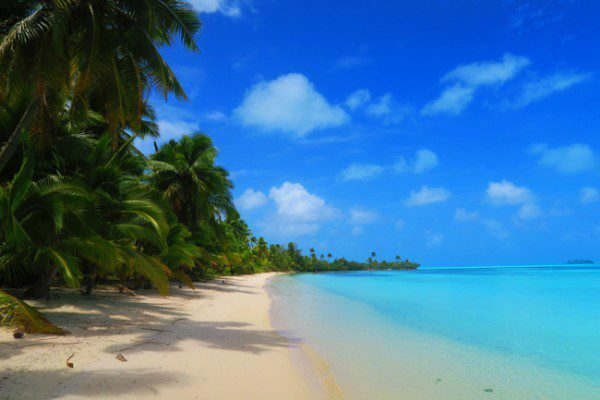 You’ll now pay a visit to Aitutaki’s only town – Arutanga. Not much happens here, but that’s kind of the charm. Say hello to the friendly ladies at the local fruit & vegetable market, and if you’re lucky enough there might even be a cold coconut waiting for you. 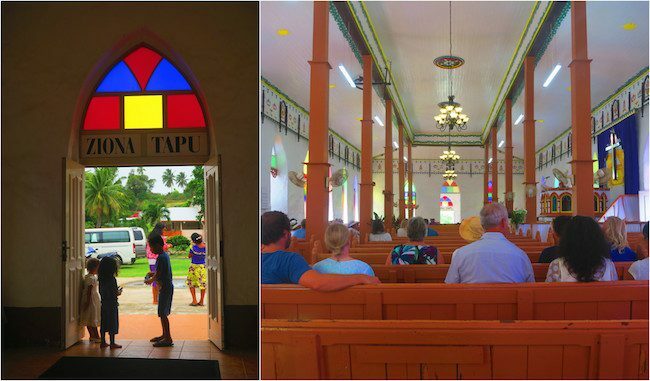 Before leaving town, walk over to undoubtedly the nicest building in Aitutaki – the Catholic Church. 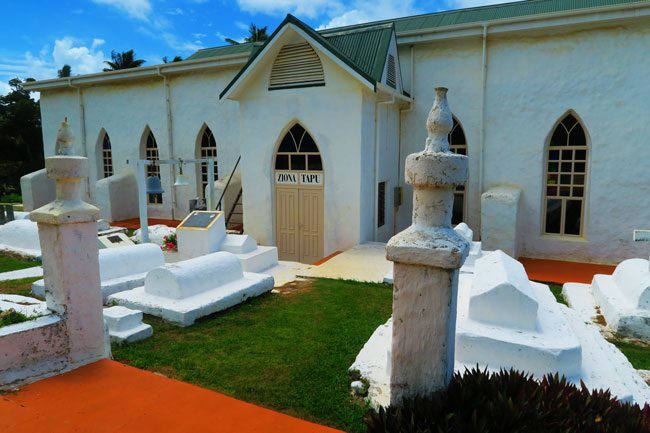 Built in 1828, it is the oldest church in the Cook Islands and I highly recommend attending Sunday service – an authentic local experience you’ll never forget, believer or not. 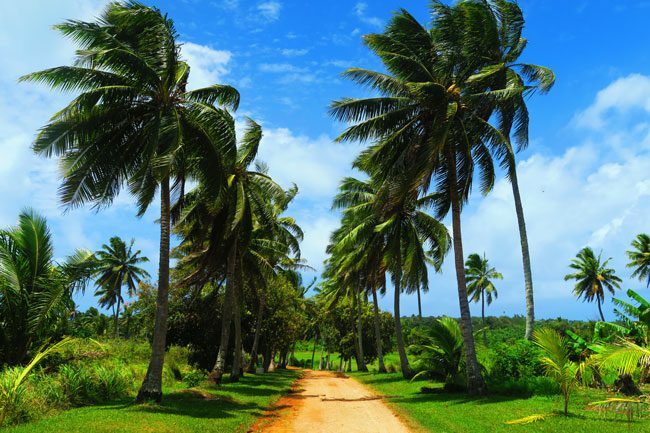 Now it’s time to get off the grid and explore the island’s southern and eastern coasts. 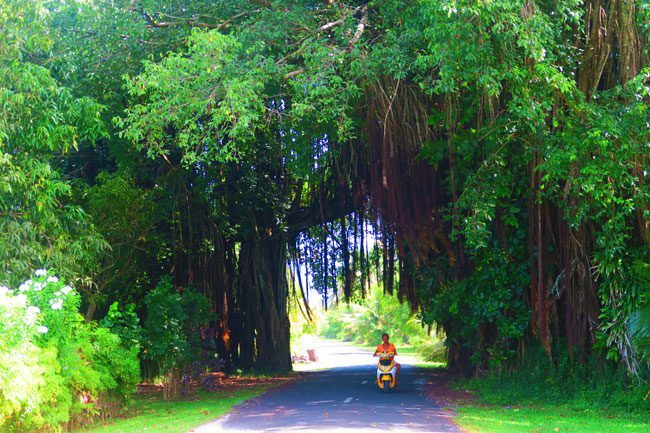 Somewhere amidst the dense coconut grove, there are two ancient Polynesian temples known as marae. Marae Tikanga Rangi and Marae Te Poaki o Rae are tricky to find and might simply look like piles of volcanic rock, but they hold important spiritual meaning to islanders even after over a century of Christianity. 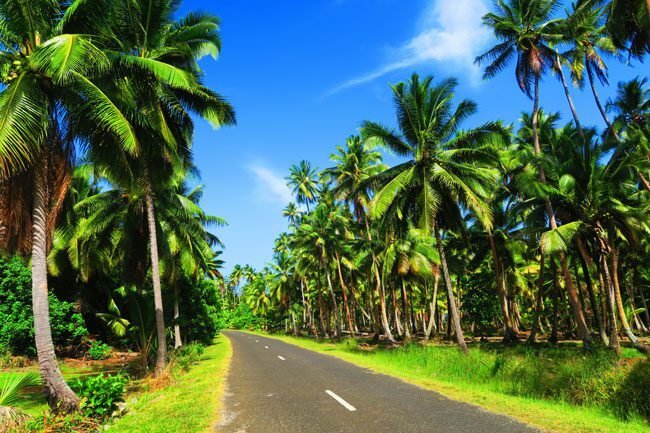 Continue along the dirt road, weaving your way to avoid fallen coconuts, until hitting the main road once again on the eastern side of the island. 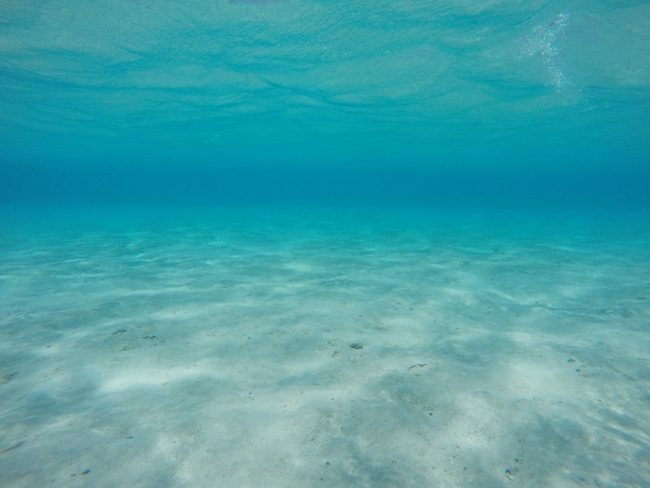 The beaches here might not be good for swimming, but you’ll likely have them all to yourself. Return the bike if you rented just for the day or continue to O’otu Beach to relax on the prettiest beach on the main island. For dinner and drinks, head to the nearby Boat Shed Bar & Grill. I especially loved the ikamata – a traditional local dish of raw tuna marinated in coconut milk. It’s so yummy and you must try it. 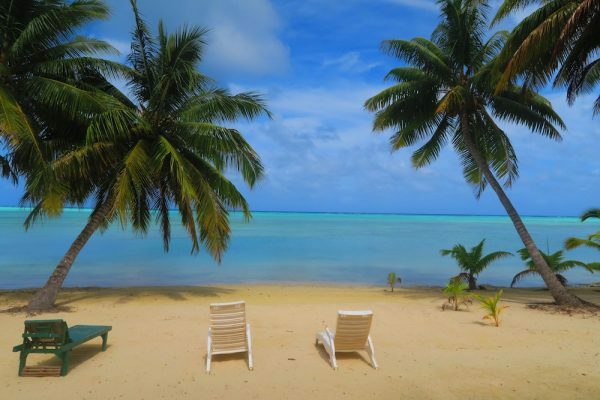 Unlike the first day, today will be a relaxing day in Aitutaki. After breakfast, head back to O’otu Beach and find a spot on the soft white sand to chill for a few hours. 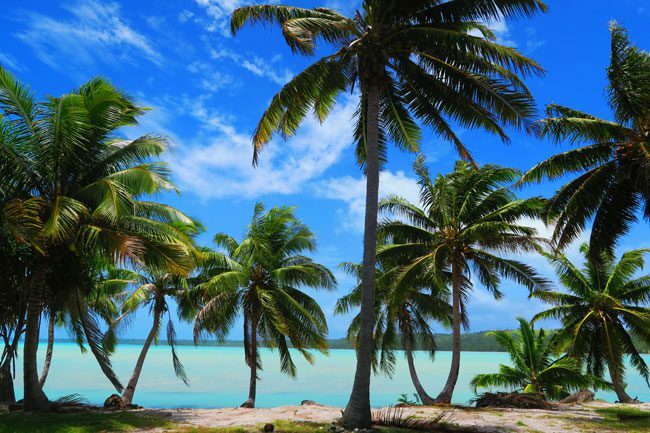 The beach may not be great for swimming or snorkeling, but the water is so clear and the palm trees swaying in the wind provide the perfect ambiance. When it’s time for some action, you can rent a kayak and explore the lagoon. 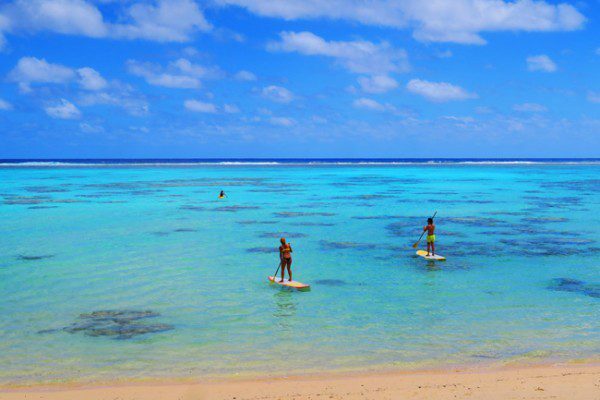 You can even just use your feet, and walk over the shallow waters for a small break on a golden sandbar. 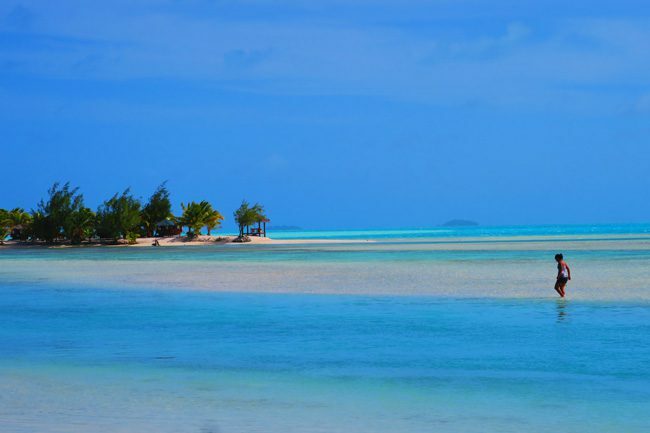 The best swimming in this part of the island is off the Aitutaki Lagoon Resort, where you can come as a daytripper if you join them for lunch. With a few other resorts nearby, food and drinks shouldn’t be a problem. 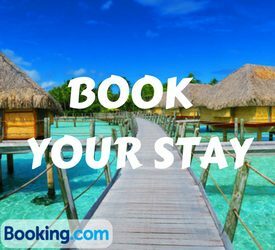 For a special evening, book a spot in an ‘island night’ show. 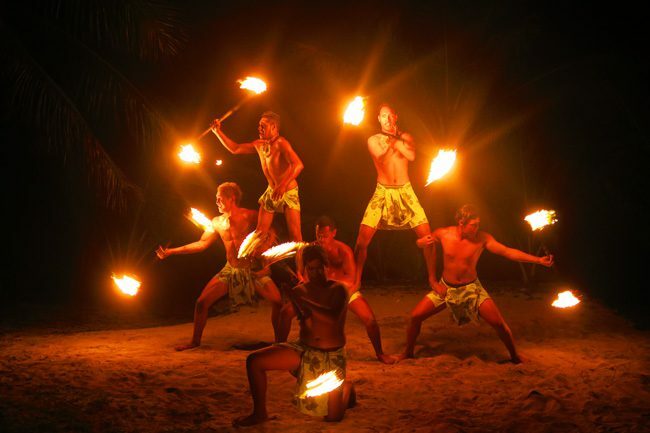 Cook Islanders love to sing, dance and play with fire – combining all three with a delicious buffet dinner in an island night show. 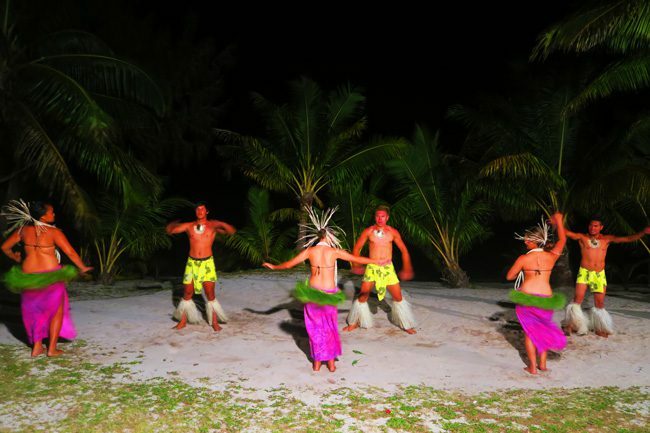 The best island night in Aitutaki is at the Tamanu Beach Resort every Thursday. Dinner starts at 6:30 pm with a huge selection of local dishes and western delights, including of course the ikamata. After dinner, local dancers take center stage, performing traditional Cook Islands dancing to the sound of the beating drums. Guests will have a go as well, with ladies shaking their hips and men twisting their knees like Elvis Presley doing the ‘twist’. The highlight of the show is the spectacular fire dancing. The boys are quick with their hands and somehow manage to get into super difficult formations despite the blazing fire. Kids, don’t try this at home. The island night in Tamanu Beach is a great way for couples to spend a romantic evening and even for families with small children. 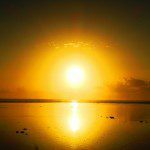 If you can’t manage to attend an island night in Aitutaki, you can do so in Rarotonga, where the shows are a lot more extravagant.